The year was 1991. I was at an unforgettable family gathering to celebrate my aunt’s birthday. What made it unforgettable? It was the first time I ever tried this amazing mutton dish called Raan Masala. 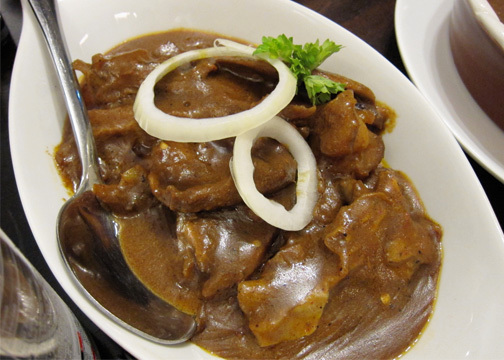 There was a whole platter of tender mutton legs simmered in an excellent spicy sauce that I could not get enough of. I quickly asked our hosts if they cooked it at home. At first they said yes, but they confessed later on that they actually bought it from a Pakistani/Indian restaurant called Al-Shams along Makati Avenue. This was a momentous occasion for me as previous to this meal, I was not a fan of Indian food. Yes, I tolerated it but it would not be my first choice. Al-Shams’ Raan Masala was a catalyst for my awakening to Indian food so to speak. After this I looked forward to and had several opportunities to dine at Al-Shams a few times before it closed down in the late nineties. Fast forward to 2012, an Al-Shams V2.0 has resurrected along Aguirre Street in BF homes. It has a more casual feel in keeping with the area and is now run by the original owner’s son Adil. The three of us plus our spouses decided to pay Al-Shams a visit. We decided to go on an unhurried Saturday evening. As we piled into Kitchyart’s van, I could not help but feel the whole “field trip” vibe of the whole thing. But hey, isn’t life a field trip in itself? A quick call to Adil a few hours before, confirmed the fact the Raan Masala was still available. It is not on the menu but you can order it a few hours in advance. “Would you like an order?” He asked. I think everyone reading this knows the answer. 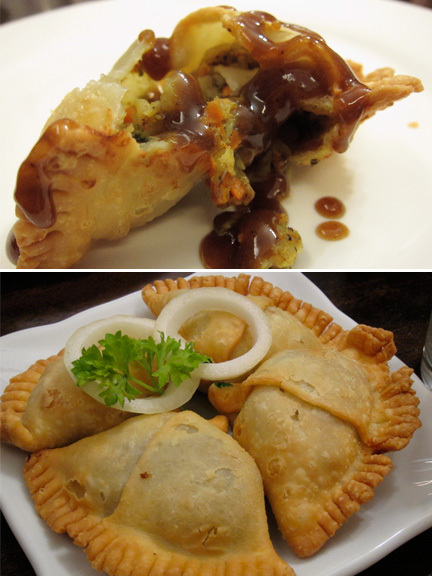 We started out with an order of Vegetable Samosas(P125). Lightly spiced mashed potatoes, peas, carrots and corn kernels encased in a fried flour pastry served with tamarind and mint chutneys. This was a good start to the meal as it was one of the better samosas that I have tried. Although it was fried, the pastry was not overly oily but still retained its requisite crunch. Next came an uninspired Chapli Kebab(P230). 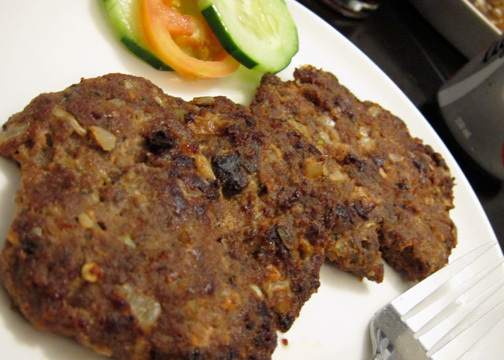 Burger like patties made from minced meat that did not elicit any wows from the group. The Raan Masala(P365) finally arrived. Although a little salty, it was still as fall-off-the-bone tender as I remember. A taste, instantly evoked a sense of nostalgia that brought me back to the nineties in an instant. The Raan paired very well with the Mutton Biryani(P340), long grain Basmati rice cooked with mutton chunks and topped with dried fruit and fried onions. The Biryani was quite a revelation. It was bursting with flavors and just the right amount of heat. 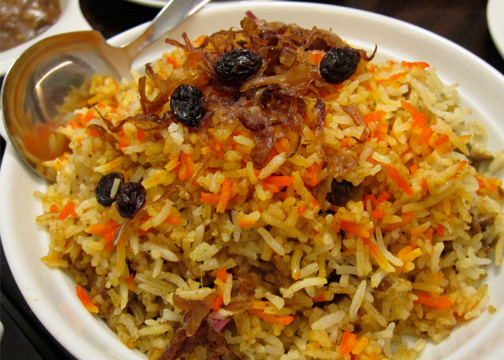 We all loved Al-Shams’ version so much, that it merited a second order. 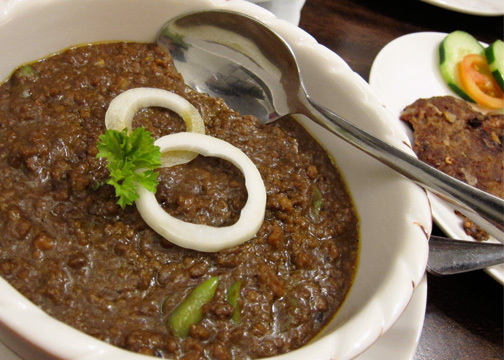 Other notable dishes were the Kheema Masala(P290) and the Malai Kofta(P180). The Kheema was very similar in flavor to the Raan Masala but had minced meat as a base. 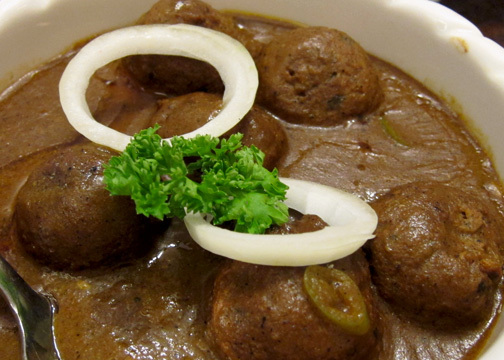 The Kofta or minced vegetable balls had a richer, thicker curry sauce. Both dishes were good compliments to the Naan Bread(P65) that we ordered. I would not consider Al-Shams a destination place as of yet. However, if you live in, or are visiting the area, I would recommend that you try it out. Prices are at the reasonable to mid-price range and we did not have a problem with the service. Moreover, it is not everyday that you come across a place that has a proud tradition and legacy behind it. Thanks for your Blog, We love to see you again. JJ, Paul is right. New Bombay isn't so bad. But there are many options in the Makati area that you can try like Legend of India for example. Paul, I forgot about the biryani+yoghurt+papad combo. Thanks for reminder.